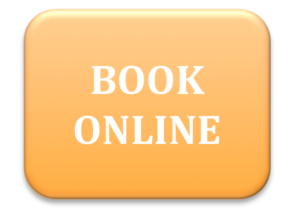 Black Pear Physio is an independent physiotherapy clinic based in Worcester. The clinic opened on a part-time basis in 1994. It has expanded since 2000, when Stuart Nottingham retired from working as a physiotherapist for professional sports teams. In 2003 the practice moved to its home in Barbourne, Worcester, where it continues to grow. In April 2017, Charlotte Dyke (née Harris) took the reins from Stuart. The clinic aims to maintain its outstanding reputation as well as increase the number of services on offer. At Black Pear Physio we aim to give our patients not only rapid relief from their pain and discomfort, but also help them develop strategies and route maps to prevent recurrences of the problem. We pride ourselves in getting results with as few treatment sessions as possible. In fact we discharge our patients in an average of 3.5 sessions (including your first exploratory and introductory session) making Black Pear Physio an effective practise at getting you back on your road to recovery. Our commitment to quality is unsurpassed. 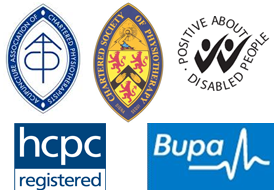 All our physiotherapists are registered with the health & care profession council and are all chartered physiotherapists. So give Black Pear Physio a call today on 01905 611 010 for an assessment and let’s start you on your road to recovery.